From the system that contains your OPC Client install either the full installation of Open Automation Software or the Custom installation with OPC Client Connector – OPCClient.NET. 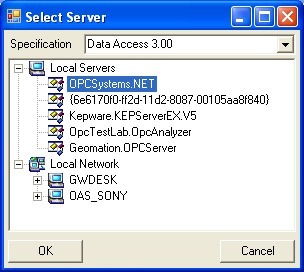 Note: When networking third party OPC Clients to remote OAS Services always install the OPCSystems.NET OPC Server on the same computers as the OPC Client. You will not need a license on the OPC Client PCs, just where the OAS Services are. If the OPC Client is on a different computer than the OAS Service you are connecting to modify the file NetworkNodes.txt in C:\Program Files (x86)\Open Automation Software\OPC Systems.NET\ and add each IP Address, Network Node Name, or registered Domain Name you want to connect to the NetworkNodes.txt file. 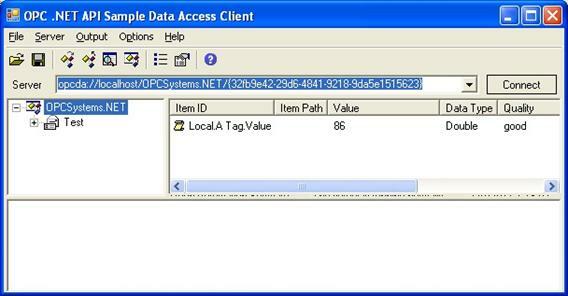 In this example we will use the OPC Foundation Sample found under the program group Open Automation Software -Tools. From the Server pull down list select Browse. 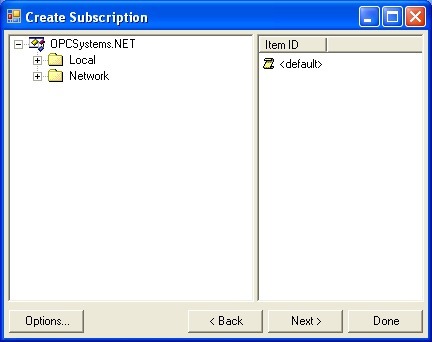 Select the local OPC Server OPCSystems.NET. 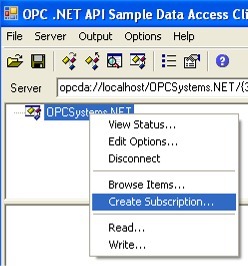 Create a group subscription by right clicking on the OPCSystems.NET OPC Server. 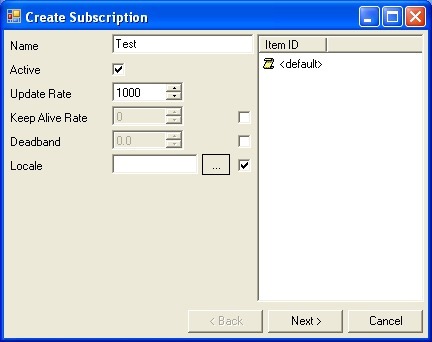 Enter a Name for the subscription and select Next. Browse either the Local service or a remote service under the Network branch. Remote OPC Items use the following syntax for the remote OPC Item. Network.<IP Address, domain name, or network node name>.Tag.Value. Browse for your OPC Item to add and double click on it. 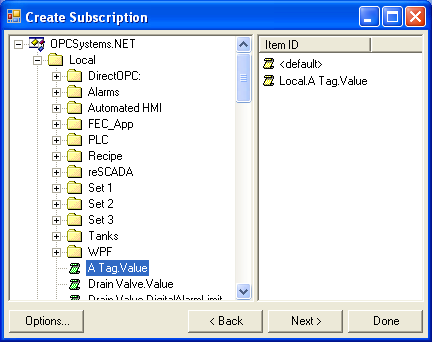 Here you will see both Open Automation Software tags in the service you are browsing along with the DirectOPC branch you can use to browse directly to OPC Servers on the service node. DCOM is not used in remote connections. Networking is over TCP port 58724 and this port number is adjustable under Configure-Options. Select Next and then Done and the value of the remote item will appear.